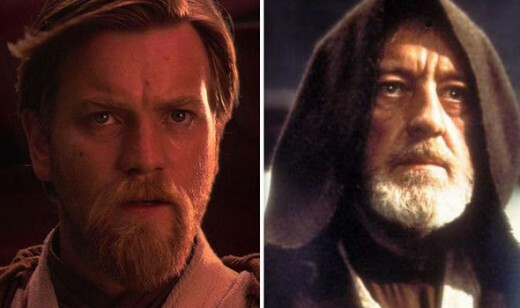 Ever since Disney purchased Lucasfilm in 2014 and announced that it would be producing Star Wars Anthology movies outside the main numbered series, a movie covering the life of Obi-Wan Kenobi in the years between Revenge of the Sith and the original trilogy has been one of the most highly demanded. Rumors made the rounds early in 2018 that Lucasfilm had begun laying the groundwork for an Obi-Wan movie, but after the backlash to the Last Jedi and the box office failure of Solo, the future of any Star Wars movies other than Episode IX is unclear. 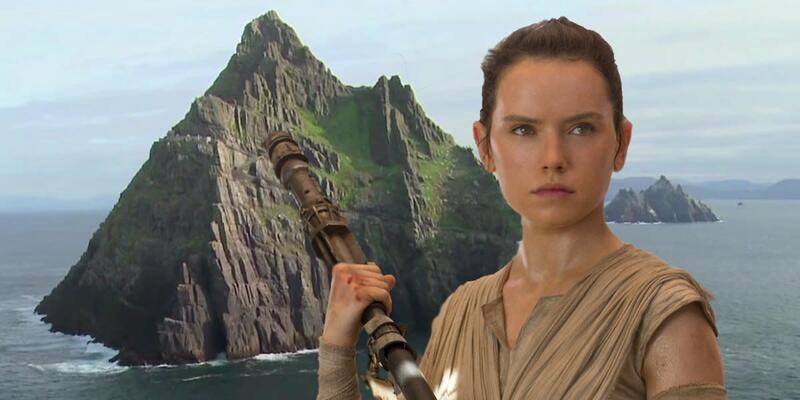 Indeed, several unnamed Star Wars movie projects were cancelled in mid-2018, concerning many fans who now worry that stuff they might have wanted to see will never see the light of day. It is unknown whether Lucasfilm had really begun work on (or cancelled) an Obi-Wan movie, but as Luke Skywalker taught us, the fight is never over as long as there's hope. With that in mind, let's look at some of the things that could hypothetically be addressed if an Obi-Wan Kenobi movie ever were to be made. #7: What happened when Obi-Wan found out Anakin had survived Mustafar? 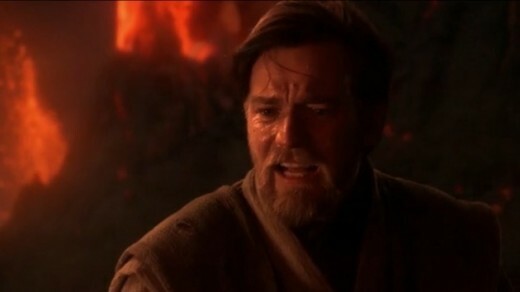 Obi-Wan clearly didn't expect his former apprentice to survive when he left him on Mustafar, and with good reason: he had cut all of Anakin's remaining limbs off and left him burning to death next to a lava river. There was no reason to believe anyone, even Anakin, could have lived through something like that. Obviously, Obi-Wan had learned otherwise by the time he crossed paths with Anakin's son Luke in the original movie. That discovery must have hit Obi-Wan like a ton of bricks, and it would be interesting to capture that reaction on screen. Did he find out right away, or could years have passed before he caught wind of Anakin's survival? Even if he was aware of "Darth Vader", could it be that Obi-Wan wasn't immediately aware of his true identity? #6: How did Obi-Wan cope with the events of Revenge of the Sith? 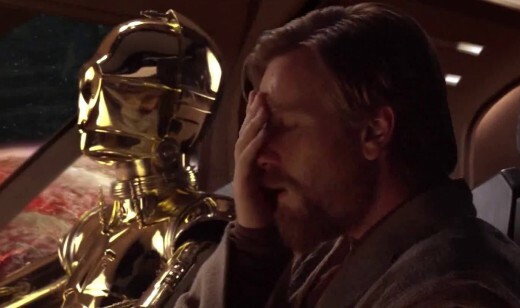 Events were moving too fast to give Obi-Wan a proper chance to reflect on the loss of Anakin, the Jedi, and the Republic as they happened, but once he was on Tatooine, he had nothing but time to think about everything that had gone down. In fact, he had over 19 years to think about it, by himself, in a far-flung hideout in the middle of the desert. He had plenty to mull over during his exile, trying to make some sense of it all. 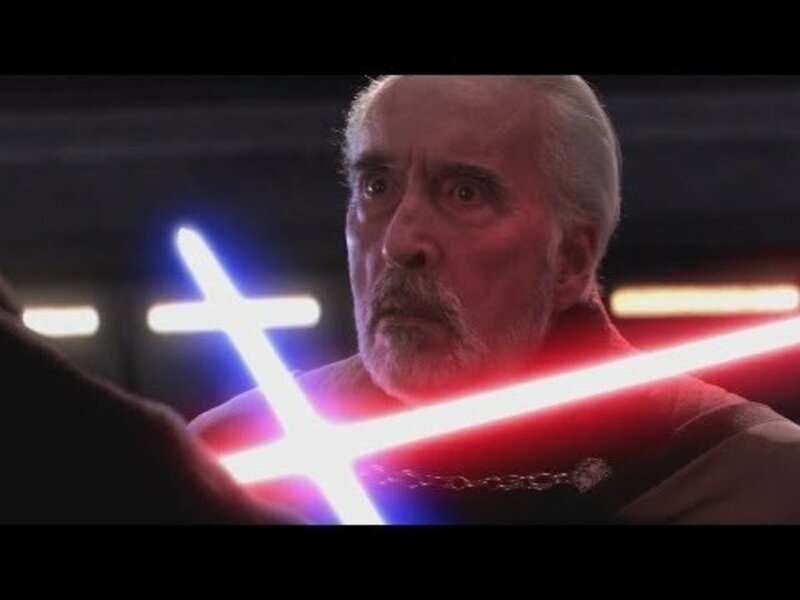 In one fell swoop, he lost the entire Jedi Order he had literally been raised within, the Clone Troopers he had fought beside throughout the Clone Wars had betrayed him, the Republic had been replaced by a dictatorship controlled by a Sith Lord, and his best friend whom he trusted more than anyone had turned to the Dark Side and tried to destroy him. 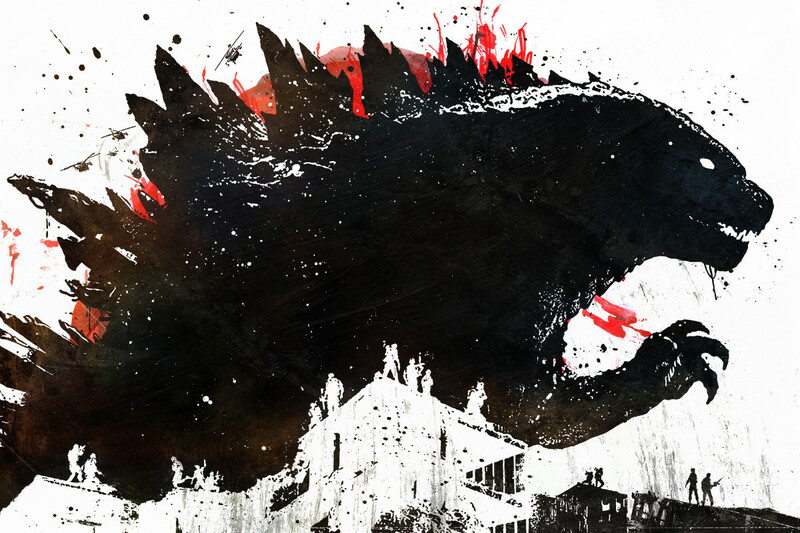 Anyone in his shoes would have suffered serious PTSD, and a deep analysis of his behavior in the original movie suggests there might be something to that. Since he wasn't alive long enough to address the effect those losses had on him later on, this would be our chance to understand his anguish as never before. #5: What were Obi-Wan's interactions with young Luke Skywalker like? The whole point of Obi-Wan's exile on Tatooine was to watch over Luke as he grew up, and protect him from the Empire and especially the Sith. Vader and the Emperor had no idea that Padme had given birth before she died, and it was Obi-Wan's job to keep it that way by protecting him from any threat to his safety or even his anonymity. The only glimpse we've gotten into Obi-Wan's life as Luke's protector came in the third season of Star Wars: Rebels when he was forced to fight and kill Darth Maul. Maul had spent years tracking Obi-Wan down, and had figured out that he was there to protect someone, leaving Obi-Wan no choice but to destroy him. He admitted to a dying Maul that he was there to protect the Chosen One, then took a trip to the Lars homestead to observe Luke from a distance and confirm that he had not come to any harm. Did Obi-Wan usually watch him from afar? Was he a regular part of Luke's life until Uncle Owen cut the lines of communication? Luke seemed to be familiar enough with him when Obi-Wan rescued him from the Sand People, but their exact relationship prior to the original movie is unclear, and it would be great to see how Obi-Wan influenced young Luke's character, if at all. 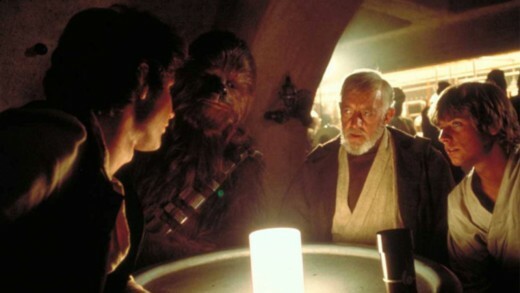 #4: Did Obi-Wan have any contact with Yoda or Bail Organa while on Tatooine? 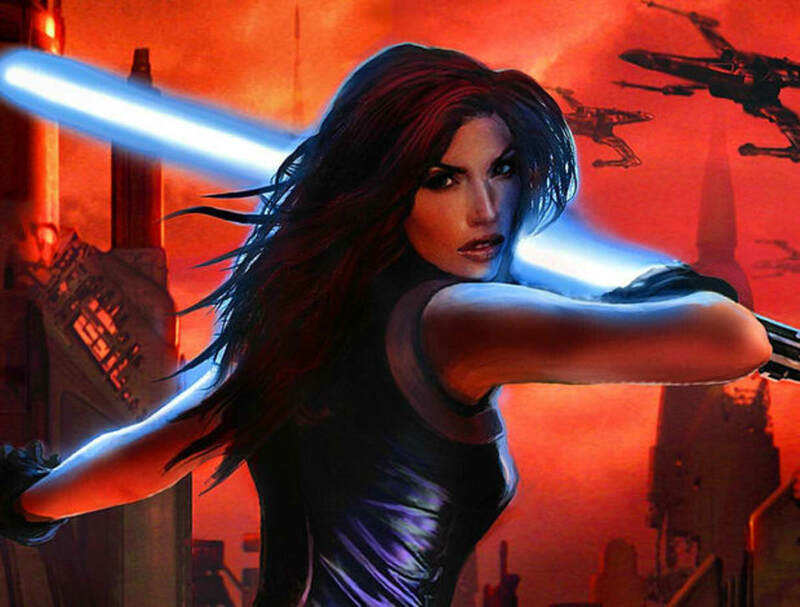 Both of the Jedi had gone to great lengths to go off the grid, vanishing completely to avoid being found and destroyed by the Sith following the rise of the Empire. 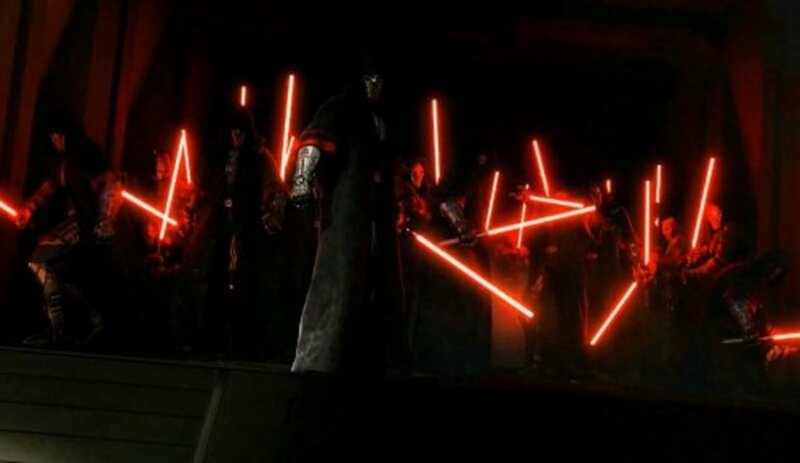 Ironically, this was a complete reversal of what had happened a thousand years earlier when the Sith were thought destroyed, but in fact had gone into hiding to regroup and plan their resurgence. Given how important it was for them to stay invisible, communication with each other would have been a risky proposition, but was there really no contact at all for 20 years? Had Bail Organa not spoken to Obi-Wan at all before sending Leia to look for him as we saw at the end of Rogue One? 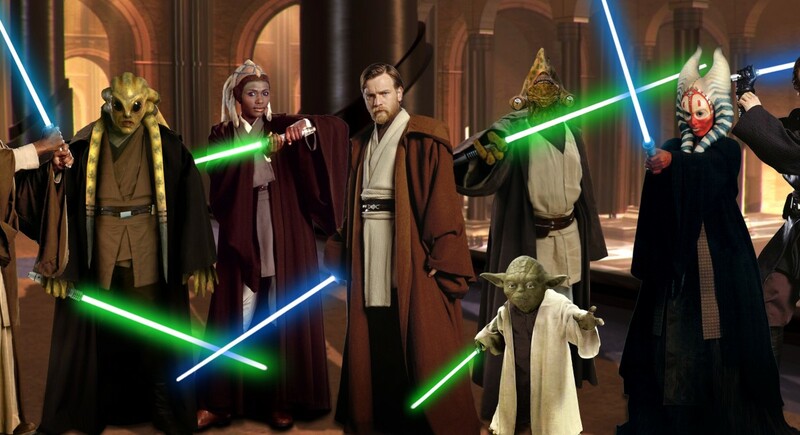 Could Obi-Wan and Yoda have used the Force to communicate, or would that have exposed them to the Sith? 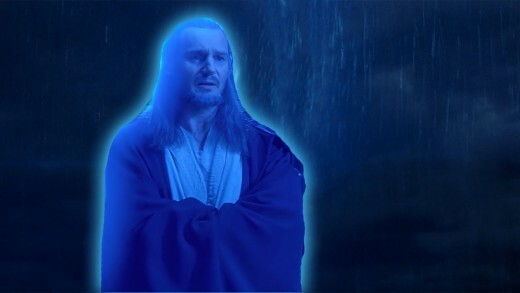 #3: What were the nature of his interactions with the Force ghost of Qui-Gon Jinn? Despite the fact that he was already a Jedi Master, and indeed a member of the Jedi Council, Yoda revealed that he had one final piece of training to impart on Obi-Wan before he left for Tatooine. 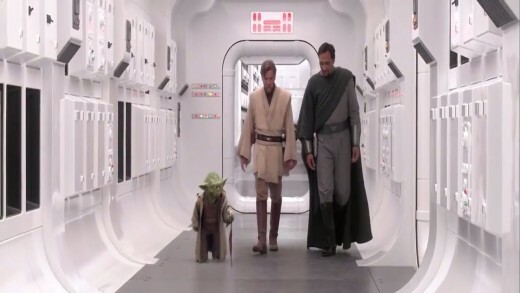 To Obi-Wan's shock, Yoda taught him how to communicate with his master Qui-Gon Jinn, who had died years earlier on Naboo at the hands of Darth Maul. It would be really interesting to see what those interactions were like, and the perspective Qui-Gon would provide on Obi-Wan's experiences since his death. Were their conversations similar to Luke's interactions with the ghosts of Yoda, Obi-Wan, and Anakin? Was Qui-Gon able to guide Obi-Wan on his path after the destruction of the Jedi? Did he teach Obi-Wan the path to becoming a Force ghost himself when the time came? #2: What happened to make Uncle Owen shut Obi-Wan out of Luke's life? 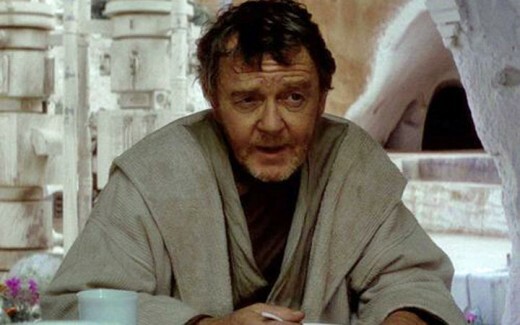 This is the million dollar question, because as far as we saw in the prequel movies, Obi-Wan had been on pretty good terms with Owen and Beru Lars, enough so that he was able to talk them into taking Luke in and raising him. By the time the original movie began, however, Owen obviously had grown a very low opinion of Obi-Wan, and feared what could happen if Luke were allowed to interact with him. SOMETHING obviously happened to change the relationship between Obi-Wan and Owen, and odds are it was something that put Luke in grave danger. Owen might have come off like a pretty surly guy, but if you take a deeper look, you realize that his main concern was Luke's safety. Knowing that Anakin's "death" stemmed from his association with Obi-Wan, Owen would have been understandably leery of letting Luke go down the same path. 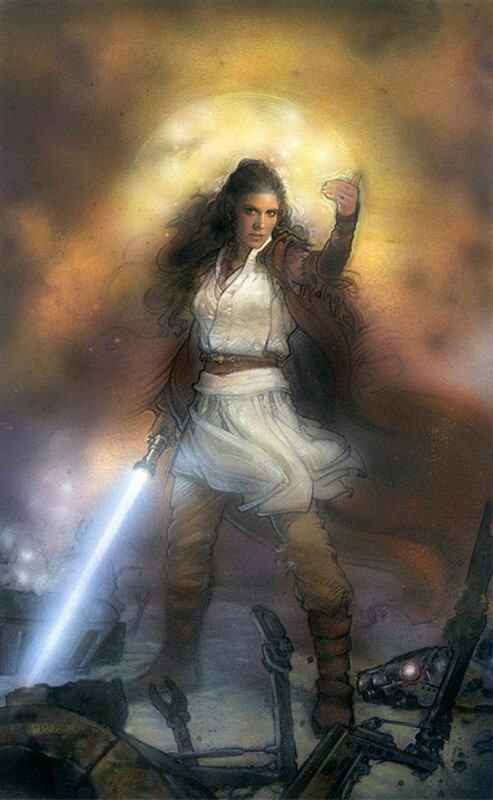 Whether that general wariness caused the friction between the two, or if some specific incident forced Owen's hand, an Obi-Wan movie should at least touch on the subject. #1: Did Obi-Wan ever leave Tatooine during his exile? Nineteen years is a long time to be stuck in one place, and it stands to reason that events may have transpired that required Obi-Wan to leave Tatooine for short periods now and then. Bail Organa at least knew he lived and where he could be found, and if a serious enough threat left him no other choice, Obi-Wan could have been forced to abandon his post for some period of time. It would have been risky to leave Luke alone for too long, but it seems farfetched to imagine that Obi-Wan never left the planet once in all that time. What if Leia was in some kind of danger? Bail Organa wasn't a Jedi, so if something threatened them that he couldn't handle, Obi-Wan could be the only one he could turn to. Here's another thought: While they may not have come face-to-face, what if the Death Star wasn't the first time Obi-Wan and Vader were in the same place since Mustafar? What if Obi-Wan went on a mission that turned into a race to avoid discovery by his former pupil? Could that have been when he discovered Anakin's true fate? Could his absence during this mission have left an unprotected Luke to come to some kind of harm, causing the schism with Owen? We may never know, but there's one thing for sure: despite all the time we spent with Obi-Wan over the course of six movies and the entire Clone Wars TV series, there's still a lot we don't know about him. What would you most like to see answered in an Obi-Wan Kenobi movie? What happened when Obi-Wan found out Anakin had survived Mustafar? How did Obi-Wan cope with the events of Revenge of the Sith? What were Obi-Wan's interactions with young Luke Skywalker like? Did Obi-Wan have any contact with Bail Organa or Yoda while on Tatooine? What were the nature of his interactions with the Force ghost of Qui-Gon Jinn? What happened to make Uncle Owen shut Obi-Wan out of Luke's life? 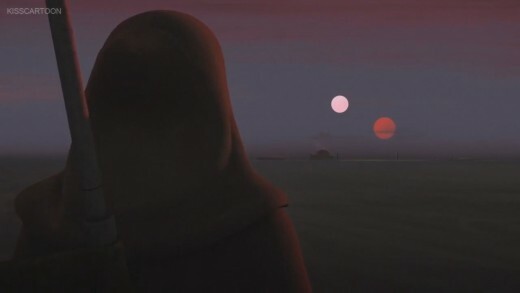 Did Obi-Wan ever leave Tatooine during his exile? Did Obi-Wan Kenobi Go Insane During His Exile on Tatooine?